Google Glass is dead. Long live wearable tech? Glassholes may be no more, but wearable tech can still work if consumers - wait for it - want to wear it. After muggings, derision and general glassholery, Google has stopped selling its much-overhyped Google Glass. It’s not a defeat for wearable tech, though, rather an admission that the next big thing will actually have to look good – or at the very least not like a plastic insect leg crawling round the side of your face. Glass is not dead according to Google, but is no longer being produced in its current form. The team is still being led by former fashion marketer Ivy Ross, but has been moved out of the ‘blue sky’ research Google X division and under the wing of Tony Fadell, the iPod creator whose smart home devices company Nest was bought by Google last year, to focus on ‘future versions of Glass’. So effectively dead, then, especially as Google is also calling time on its Explorer program, which gave software developers the chance to buy a Google Glass for $1,500 (£986) before an expected consumer launch. No doubt there’ll be an army of geeks pretty peeved at having splashed out on a now-defunct piece of kit (as well as some red-faced execs at Tesco, who launched a shopping app for it on Wednesday), but at least they won’t look like ‘glassholes’ anymore. But creepy tech bros photographing or videoing unsuspecting passers-by with a computer perched on their nose was not the main issue. That was clearly not cool in people's minds – but etiquette around smart glasses would have evolved, just as people have figured out when it’s rude to check your smartphone, and no one's made a big song and dance about wearable brooches that take photos at random. 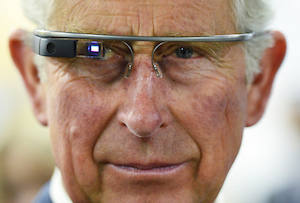 Quite simply, Google Glass looked really, really nerdy. All the collaborations with Oakley and Diane von Furstenberg in the world couldn’t hide the fact it was a whopping great thing stuck to someone's face (and potentially videoing you). Wearable tech, as the name suggests, need to be wearable. Apple looks like it’s got the right idea with the Apple Watch, designing a pretty normal, reasonably nice piece of wrist candy and not shouting too loudly about all the bells and whistles under the bonnet. ‘The art of selling technology is to hide the technology,’ as the Guardian’s Charles Arthur put it. We’ll see some time this year whether that actually flys with consumers.